Dash cams have come along way since they were first introduced to police cars in the 1980s. These early versions were merely bulky camcorders mounted on tripods. They recorded directly onto physical VHS tapes which had to be replaced once they ran out of room and, in order to view footage, these tapes had to be removed and inserted into a tape player to be watched on a television screen. The footage was almost always blurry and the audio was of poor quality and these videotapes could be damaged easily from direct sunlight or mishandling. Now we find all dash cameras today to be inconspicuous and lightweight, recording in high definition via micro SD cards that rewrite footage as soon as the card is full. Cameras can be mounted surreptitiously to windshields or dashboards and automatically record footage when it detects unusual vibrations within the vehicle. In addition to these major developments and advancements, some dash cameras today even come equipped with WIFI technology. 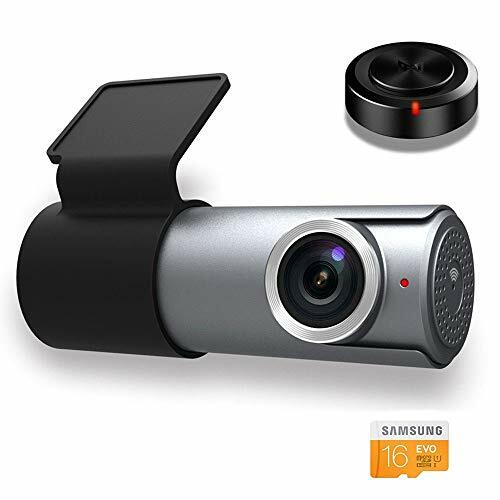 The main purpose of having a dash cam with WIFI is to connect the device to a smartphone or tablet to review and send on footage. This eliminates the need for a physical screen (although many dash cameras with WIFI still do have a LCD screen for viewing) but more importantly, in the event of an accident, a dash cam with WIFI could easily send on the footage in question to law enforcement or an insurance company with the quick click of a button. While it is true that having a dash cam with WIFI is more a luxury than a necessity, depending on your circumstances or what you desire from your dash cam it could prove to be a valuable addition. Dash cams with WIFI tend to be more expensive than their simpler counterparts, but if money is of no object to you, then this added feature could allow you to do a number of interesting things with your camera and save you the hassle of having to deal with removing and transferring files via the SD card which is typically small and easy to lose. Of course when it comes to buying a dash cam with WIFI there are a good number of excellent options. Those on the market for a dash cam with WIFI will find that not all of these options are created equal. A number of questions arise: Which brand to trust? Which model works best? And what exactly is an appropriate price to pay for a dash cam with WIFI? Fortunately for you, here we’ve compiled a list of best dash cams with WIFI capability. Our list saves you the headache of comparing and contrasting makes and models and will allow you to find which dash cam with WIFI works best for your particular situation and unique needs. This way, you as a consumer, can make the most informed choice for you and your vehicle. How does a Dash Cam With WiFi Work? The SplashETech Uni is a very good dash cam with WIFI, sold at an affordable price. The 2.4GHz WIFI capability allows users to upload and share video footage and photos via their smart phones through an application which also allows playback and download of the files on a laptop or cellular phone. Ultimately, this eliminates the need for an LCD screen and as a result, the SplashETech Uni is smaller than most dash cams, built in a stealthy cylindrical shape with a single lens. 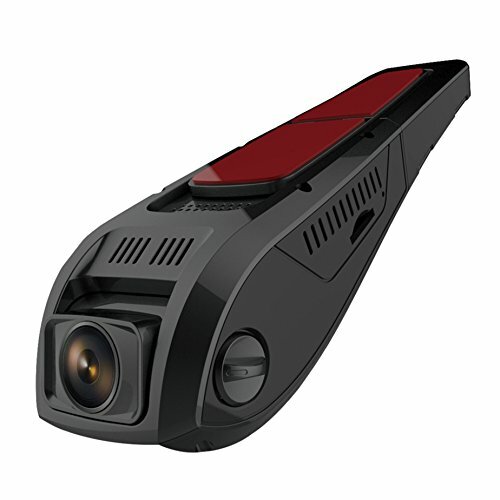 The unique design makes it ideal for those who want to hide the dash cam within their vehicle and keep it far away from the prying eyes of onlookers or passersby. The large aperture lens of the SplashETech Uni shoots in full HD and is even rotatable so you can position the dash cam strategically within the vehicle to get the best shot any time you take to the road. It is important to note however that the largest SD card the SplashETech Uni can accept is 32 GB, although for most users this should not be a problem since with this dash cam the oldest files are always rewritten over first, ensuring continuous recording of your movement on the road. The DDPai Mini is another good dash cam with WIFI, similar to the SplashETech Uni, although slightly more expensive. Like the SplashETech Uni, the body of the camera is a small cylinder, easily hidden within your vehicle, rotatable 300 degrees to ensure you get the perfect shot of the road, wherever you position it in your car. Unlike the SplashETech Uni, the DDPai Mini can hold much larger SD cards, up to a whopping 128 GB. The DDPai Mini also comes with accident detection and an emergency lock function connected with the G-Sensor within the camera. This means any time the camera detects unusual motion within the vehicle the footage is locked so you don’t lose your most important videos. Like most WIFI dash cameras, the DDPai Mini comes with an application that enables users to simultaneously upload videos to Facebook, Twitter or YouTube. An added plus of this dash cam is that the firmware updates automatically, keeping your camera up to date with the latest enhancements and improvements. The NuCam A712W is an excellent high definition WIFI dash cam that films in an impressive 1296P. It can be rotated a full 360 degrees, 60 degrees more than the DDPai Mini, capturing HD footage in a super wide 160 degree wide angle. The WIFI capability of the NuCam A712W enables live viewing, immediate playback and quick sharing on your phone or tablet making it great for bloggers or YouTube uploaders. The footage from the NuCam A712W is super sharp and clear at 13 megapixels, and the compact cylindrical shape makes it lightweight, weighing a mere two ounces. As such it is excellent for use on a selfie stick or use as a hidden camera. 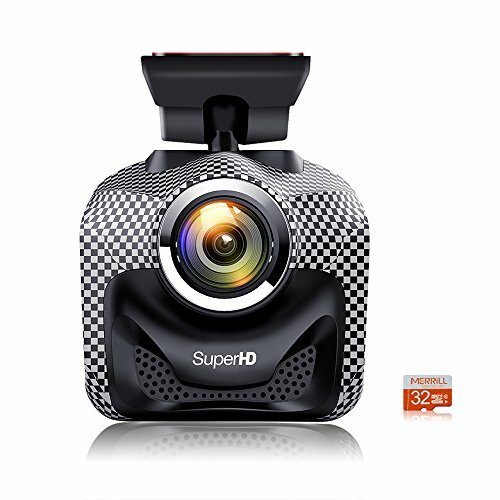 The camera supports SD cards up to 64 GB and comes equipped with night vision capability and a built-in microphone in case you want to record sound inside or outside the vehicle. 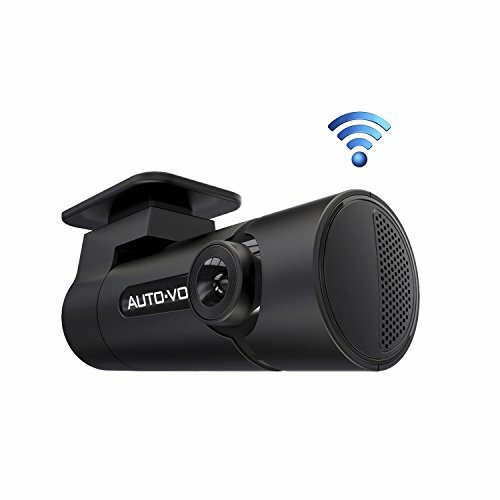 The Auto-Vox is another dash cam with built-in WIFI capability. As with other WIFI dash cams, the Auto-Vox settings are controlled via an app that interfaces with the camera itself. There you can adjust the sensitivity of the G-sensor which locks files when it detects unusual movements. If you find the G-sensor overactive (locking files when the car goes over speed bumps, for example) you can decrease the sensitivity via the app. Or if the G-sensor is not sensitive enough (failing to lock videos when you collide with another car in a parking lot) simply use the app to make the camera more sensitive. The Auto-Vox also features loop-recording meaning that the camera will never stop recording just because the SD card is full. Instead, once the 64 GB SD card reaches full capacity, the Auto-Vox WIFI dash cam will continue to record footage, rewriting over the oldest files first and never rewriting over files which have been locked after the G-sensor has been activated. You can also manually lock a file via the app in case you find some interesting scenery or unusual weather pattern on your travels or if you are witness to an accident on the other side of the road. Bulkier and heavier than the NuCam A712W, the Auto-Vox is still a very good option at about half the price. 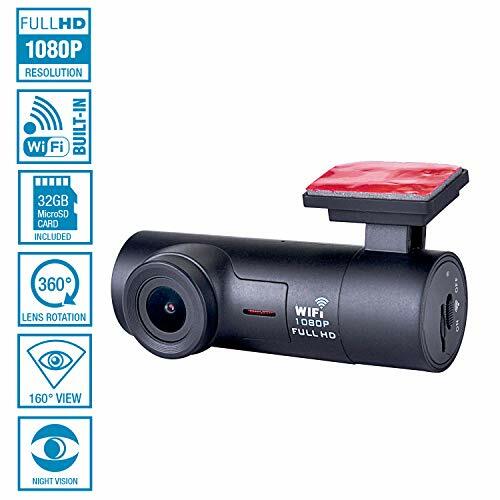 Some have complained that the video quality may not be as crisp and sharp as some of the other high-end dash cameras on the market, but for basic recording and general functionality, this WIFI dash cam is an excellent choice nonetheless. The Goluk T1 is a very attractive WIFI dash cam that shoots in super high definition and can capture important details like license plates and facial features of drivers even in low lighting conditions. The Goluk T1 also shoots in wide-angle technology at some 152 degrees (slightly less than the 160 degrees of the NuCam A712W) making it an excellent choice if you need to capture the full view of the road on other side of you. The handsome structure of the Goluk T1 is fully rotatable in 360 degrees and comes equipped with a super sensitive silicon microphone which makes any live recording easier and much more realistic. Perhaps the most interesting feature of the Goluk T1 is the Remote Magic Key, a small device which will record 6 seconds before and 6 seconds after pressing the button. You can change this setting to record 30 seconds before and after if you so choose and then easily upload this footage to YouTube, Facebook, or any other social media site that you desire. The super capacitor inside the Goluk T1 can also withstand extreme temperatures from 10 degrees Fahrenheit to 140 degrees Fahrenheit, making it ideal for warm weather, although extreme cold temperatures might damage the camera. The Goluk T1 can also accept SD cards up to 64 GB which equates to roughly 13 or 14 hours, more than enough for most people’s purposes. Even if the card fills up, the Goluk T1 comes equipped with continuous loop recording and will rewrite over old files so you never have to worry about missing any action on the road. 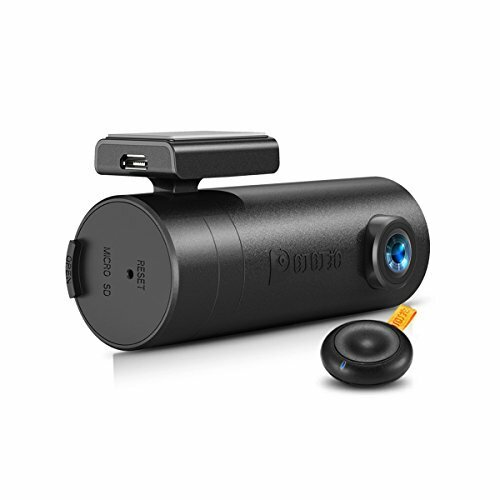 The PRUVEEO F5 WIFI dash cam is the cheapest option our list by far. While it does not film in full HD (recording at a less than impressive 1280 x 720 resolution), it does come with WIFI capability, compatible with both iOS and Android. It can also film in wide angle (albeit in only 140 degrees) and the small discreet design makes it excellent for hiding within your vehicle or using as a security camera. The PRUVEEO F5 supports memory cards up to 32 GB and begins recording without any input. It also rewrites the oldest files first so that no footage is ever missing from your files. Some users say it might be difficult to see details like license plates which could prove problematic when trying to show evidence in a court of law or to insurance companies, but if all you need is a basic device for capturing footage on the road, the PRUVEEO F5 is the WIFI dash cam for you. Cheap and simple to use, all and all it’s a good deal for the price. The Ivation offers an alternative design to the other WIFI dash cams on this list. Instead of a cylindrical, rotatable device, the Ivation looks like a standard point and click camera and is attachable via a suction cup as opposed to an adhesive sticker. This alone has its benefits and drawbacks. Some users prefer the suction cup as it allows you to move the dash camera easily within the vehicle without leaving behind some kind of sticky residue. Others complain that the suction cup may lose suction over time and the suction cup itself is more conspicuous within the vehicle, perhaps blocking the driver’s line of sight or proving distracting to a passenger. A great benefit of the Ivation is that it comes with built-in GPS tracking and data recording so you can view your past trips or the previous routes taken by others who have driven your car. This proves useful if you want to keep an eye on new drivers or if you have a company car and want to ensure that your employees are going where they say they are. 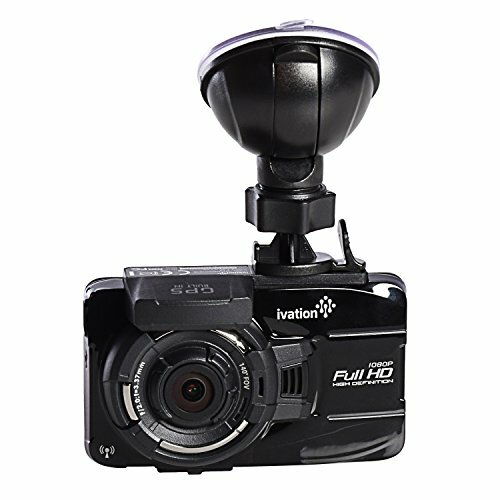 Unlike the other WIFI dash cams on our list, the Ivation also comes with an LCD touch screen, giving you the option of either using the app to control the camera remotely with your phone or your tablet, or using the touch screen itself. The LCD screen is large and clear and excellent for instant viewing in case you need to show footage immediately to law enforcement in the case of an accident. The Merrill camera films in a much higher quality than the Accfly listed above and at essentially the same price. The high resolution recording (1920 X 1296P) and 6 layer optical lens even work for nighttime recording, so whether you are driving day or night, the Merill camera guarantees you a clear, crisp image. The WIFI capability of the Merrill allows you to view your footage real-time and makes uploading videos to social media easy and painless. The footage is filmed in super wide angle, an impressive 170 degrees meaning you can capture video fully across a 5-lane highway. The Novatek 96655 is best known for its unique design. With only a single cable, the Novatek 96655 fits directly behind the rearview mirror so it does not block your line of sight or prove distracting to you while you are on the road. The cables can be easily hidden and integrated within the vehicle, so the dash cam does not disrupt the aesthetic of the interior. The Novatek 96655 comes fully equipped with WIFI capability via a unique app for both Android and iOS so you don’t have to mess with the SD card when you need to upload or edit or delete videos. If you have an iPhone you can download the app by scanning the QR code in the user manual. Like the Novatek 96655, the Accfly also affixes to the back of your rearview window. The Accfly boasts a super wide 170-degree wide-angle lens so you get more footage with every recording, excellent if you need to capture details on the other side of the road or simply want to take recordings of the changing landscape. The Accfly app works via WIFI so you no longer have to mess with low quality screens or confusing camera buttons. Use your phone or tablet to do everything with the Accfly. If you hardwire the car to your vehicle you can even activate a parking mode function which keeps watch over your vehicle and begins recording any time it detects motion in front of the camera. This can be a blessing or a curse. Great if someone is vandalizing your vehicle, the motion detection can also use up a great deal of space on the SD card as it will record any kind of movement, including leaves falling on the hood of the vehicle or a bird flying within the cameras line of sight. There are a number of benefits that come with purchasing a dash cam with WIFI. For one, the WIFI eliminates the need for the dash cam to come with an LCD viewing screen. Instead, footage can be viewed directly on the smartphone of your choice (iPhone or Android) or tablet as the footage can be transferred between the two devices via the WIFI connection. Without having to view footage on the camera itself, this allows the dash cam to be smaller and more compact, great if you want the dash cam to be small and stealthy, or better yet, less likely to distract you as you drive. In addition to taking up less space within the vehicle, the other issue of course is that thieves are far less likely to steal a dash cam without a screen, as it appears less valuable. Apart from being able to view your footage via your smartphone or tablet, another benefit of having the dash cam with WIFI is that you can send your footage quickly and easily by email, in the same way you would send an attached file. Let’s say for instance you are involved in some road accident or a traffic dispute. If your dash cam comes equipped with WIFI you can choose to playback the footage immediately to show the police, or if the footage needs to be reviewed at a later date, you can simply email the file to law enforcement’s headquarters. In the same vein, if your insurance company needs to review footage to determine who was at fault in an accident, with WIFI you can email the video file to your insurance agent with the click of a button. The other benefit of the WIFI capability of a dash cam is the ability to change settings of the camera remotely with an application that syncs up with the phone. This way you can use your phone almost like a remote control for the dash cam – perfect for changing settings like the sensitivity of the G-sensor, or the quality of the footage, or to turn on parking mode, or to turn the camera on or off – all of this can be done remotely if the dash cam comes with WIFI capability. You can also use the WIFI to update the firmware of your dash cam in order to always have the latest, safest version. A dash cam with WIFI is particularly useful for people who like to post videos of their driving on social media or sites like YouTube. WIFI capability allows you to upload these videos from your phone directly, so whether you want to share with the world the dangerous driving of other drivers or whether you want to upload footage of your cross country road trip, a dash cam with WIFI makes it easy for you to share your unique footage with the rest of the world. Certain models of WIFI dash cams even allow for live streaming of your footage while you drive! 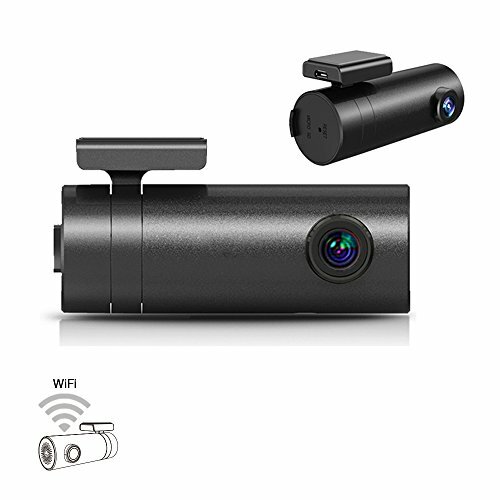 A dash cam with WIFI works like any other device that connects to wireless Internet. In order for the connection to be established, the dash cam in the vehicle must be parked in an area that has WIFI or be removed from the vehicle and brought inside to a place with WIFI. This can be something of a problem, unless you want to connect over your phone’s network, but unless you have a good data this may prove costly or slow. Once the camera detects WIFI connection it can connect directly to your smartphone, whether it be an iPhone or Android, via an application. From this application you can then perform any number of functions and adjust the settings of the camera through the phone. Think of the phone as a remote control that speaks over WIFI to the camera and can issue commands without a direct connection. Over WIFI you can send dash cam videos via e-mail, upload your footage to the Internet, or replay footage in high quality. It’s important to note that there have been reports of problems with WIFI connectivity in some of the models. Also, transferring video over WIFI (unless the connection is strong and the bandwidth high) can take a painfully long time. Sometimes it’s much easier to simply remove the SD card and then plug back into your computer or your tablet and deal with your footage this way. While it’s clear that there are a number of benefits to owning a dash cam with WIFI, at the end of the day it’s mostly about convenience and ease of use. It’s true: handling tiny SD cards can be a pain because of their small size, and these cards are easy to lose. Losing an SD card with important footage could prove to be a total disaster, especially if that footage is required by law enforcement or an insurance company to prove your innocence. All in all, the WIFI capability of a dash cam is simply an added luxury. If you are tech-savvy, it might be an important feature, another bell and whistle to add to your expanding collection, but if you cannot afford the added value of a WIFI dash cam, you won’t miss this feature, necessarily. But if you can afford it, it could make your life a lot easier and save you some time. Of course, this all depends on the preferences of the dash cam user, what he or she will be using the cam for and how much they are willing to spend. Ultimately, this is why we’ve put together this list of best dash cams with WIFI, so that you as a consumer can educate yourself on the available options and choose the best dash cam based on your personal inclination and budget.